The suites are a part of 2 x three bedroom Villa structures. 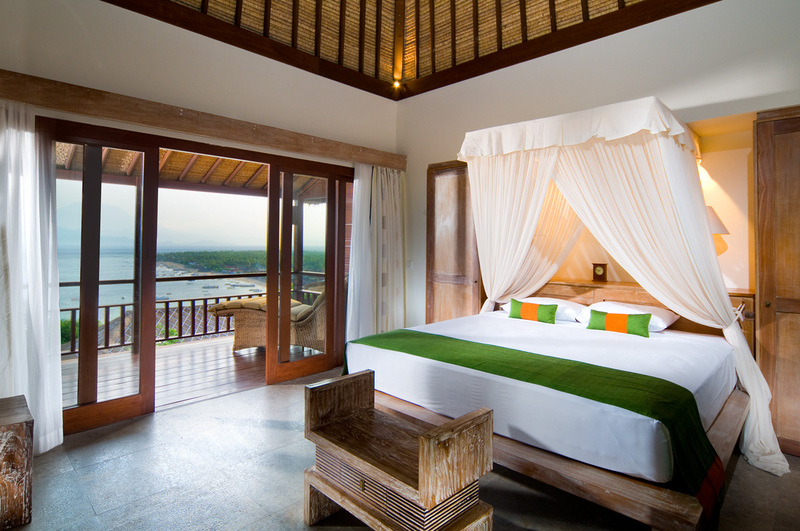 Mt Agung villa – has one Suite Room and 2 Double Rooms. Frangipani villa – has one Suite Room, one Twin Share Room and one Double Room. A place where privacy is an essence, modern comforts and sophistication are present and an easy sense of relaxation is with the Batu Karang Suites. The Suite room is a true master bedroom, kitchenette, Lounge room, TV/DVD centre and full-length balconies, the suite creates a stylish self-contained getaway. 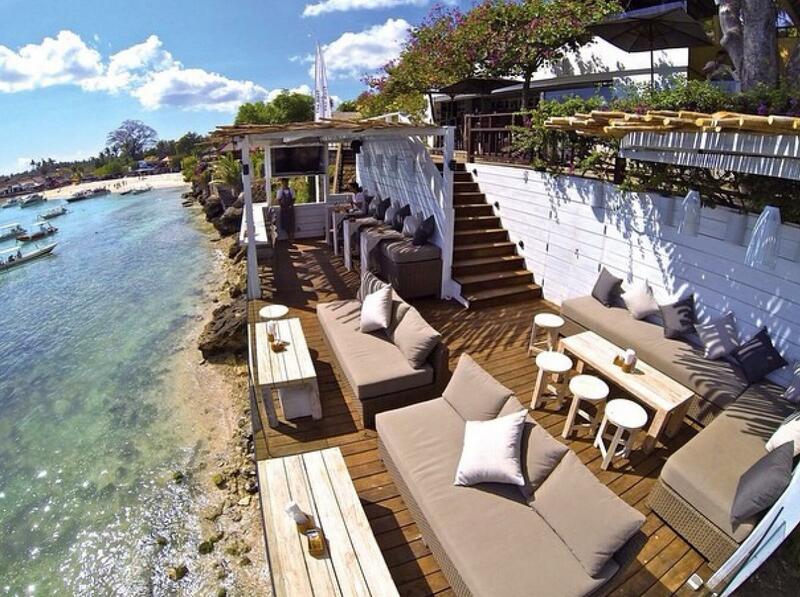 Elevated to display the very best views over the bay, surf breaks, the island, the Badung Straight, Lombok Straight and across to the mystical silhouette of Mt Agung is just breath taking. Designed to accommodate guests whom are looking for the best room on the property and who either a) are happy to share a King size bed or b) are happy to share a room with one person sleeping in the King Size Bed and one person sleeping in a luxurious non permanent King Single bed.